Filzmoos is a village in the Pongau area of Salzburg. It is a famous ski resort and part of the Salzburger Sportwelt, the skiing area that seeded the formation of Ski Amade. The latter is now among Europe′s biggest skiing areas, Filzmoos is a part of that one, too. The altitudes of the Filzmoos slopes lie between 1,060 metres and 1,600 metres. 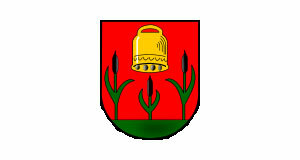 Filzmoos has a total population of 1,450. It is one of the many places in Salzburg where tourists make a drastically larger population than locals - at least during the skiing season. Geographically, Filzmoos lies between the Gosaukamm area of the Salzkammergut, near Mount Bischofsmütze. The latter is part of the Dachsteinmassiv mountain range. On the Salzburg side, Filzmoos goes towards the Salzburger Schieferalpen, not just a mountain range, but a geological entity. Like Filzmoos itself, all of its neighbouring communities are ski towns, which makes it an attractive base for exploring a diverse array of slopes during the winter. That being said, don′t expect Filzmoos to be a skiing ghetto only. In fact, it is a proper village with quite a bit of history. Traditionally, the area was very remote and characterised by agriculture (mountain cabins that were used during the summers for raising cattle) and mining (silver, copper, iron, lead, arsenic ores and other minerals). Tourism started to gain significance only in the late 19th century. In terms of sightseeing, note the parish church of the village. It was built in the 15th century in Gothic style and was an important church of pilgrimage. The little statue of the Filzmooser Kindl was a the centre of these pilgrimages, a Baby Jesus image. In addition, there are several partly ancient farmhouses in Filzmoos that are worth a closer look. Note for example the Hofmuseum, one of the community′s oldest buildings. See also the Oberhof farm, first mentioned in 1285. It is still operated as a farm and belongs to the same family since 1648. There is a mountain cabin (Alm) associated with the Oberhof, the so-called Oberhofalm. This is a popular day-trip destination and a popular goal for hiking tours. If you are interested in hiking around Filzmoos, note also the Unterhofalm, another mountain cabin (even though mountain cabin is not a good translation of Alm, since an Alm is a special Alpine form of faming practice, where livestock was kept at higher altitudes to make use of plants that grew in altitudes beyond reach during the winter). Today, hiking tours often target Almen like the Unterhofalm which are then managed as inns in addition to livestock breeding.